Grove & Dean Wealth Management (a member of St James's Place Partnership) gives our clients access to a full range of investment, retirement and tax saving solutions available through the highly regarded and award winning St James's Place Wealth Management Group. 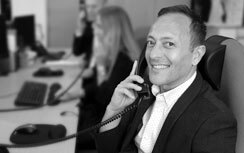 We offer a highly personal, specialist service tailored to specific client needs and calling upon all the varied experience of a trusted team. We also work closely with businesses, understanding their aims and aspirations before agreeing strategies to achieve their financial objectives. These strategies could range from developing expansion plans to offering cost effective benefits to employees.